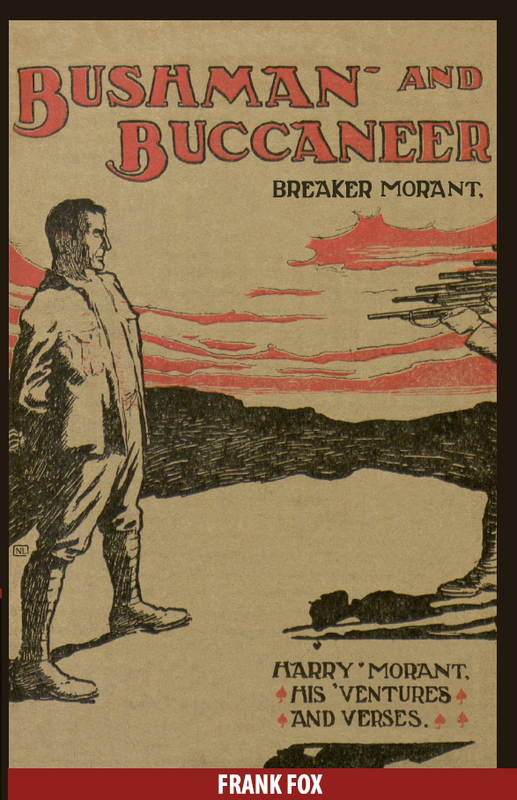 This is the earliest record of Breaker Morant´s exploits and reprinted for the first time since 1902. Written under the pseudonym of Frank Renar by Sir Frank Fox, it provides a vivid account of the Boer War with drawings by Norman Lindsay and contemporary photographs. “Fox was a great man, and concerning Morant I think of him not only as the launcher of an Australian legend but also its subtlest and most intelligent storyteller; he confounds Morant’s champions as well as Morant’s detractors, as good literature and insider history ought to do. His little book (Bushman and Buccaneer- A Memoir of Harry Morant) is often cited, sometimes plundered, but too rarely read.” Australian military historian Craig Wilcox, author of the book Australia’s Boer War, Oxford University Press 2002. The front cover image is “Shoot straight…” By Norman Lindsay (1879-1969)” depicting the scene immortalized in the Oscar nominated Beresford film of 1980. The iconic image is now available as a poster on www.sirfrankfox.com and Amazon.